FRESH LOOK is a sophisticated range of professional quality skin care products that will care for your skin and keep it looking and feeling great! Kind to both the skin and the environment, the products are designed to be pleasant to use and to provide a real long-term benefit for your skin. The FRESH LOOK line includes over 60 functional formulations based on botanical and Dead Sea ingredients for the entire range of skin conditions - dry, oily, sensitive, mature, seborrheic, dehydrated, delicate, sun-damaged. All FRESH LOOK products are vegetable based, environmentally sound and as skin friendly as possible. None are tested on animals. Exfoliation - Gentle removal of the upper layers of epidermis is known to stimulate growth of fresh underlying skin. This improves suppleness, reduces wrinkles, minimizes blemishes and sun and other environmental damage. 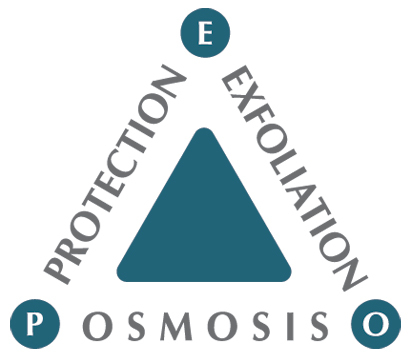 Osmosis - By relating to the skin as a semi-permeable membrane that reacts to osmotic pressures, FRESH LOOK skin care can hydrate, soothe, or firm your skin, according to its needs. Protection - Special attention is given by the FRESH LOOK care program to the specific protection needs of every individual skin type.